For over 100 years, Kraft Singles has made the family-favorite American cheese. Its unmistakable creamy melt and American flavor is popular with both kids and adults. 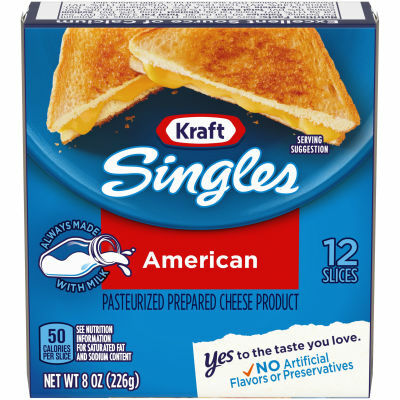 Enjoy Kraft Singles American Cheese on your next burger, sandwich, or grilled cheese today.